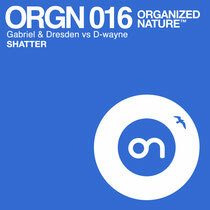 For his next track, D-wayne has teamed up with one of our all time favourite production duos, Gabriel & Dresden. Out today on their own Organized Nature label, ‘Shatter’ demonstrates their great ability to encompass all sub-genres of house music in just one track. With a mesmerizing riff and high-energy builds, ‘Shatter’ crosses the boundaries between trance, progressive and electro-house. Originally debuted during Gabriel & Dresden’s Escape From Wonderland set in LA last October, the track has already proven itself to be a floor filler. Gabriel and Dresden are widely regarded as one of the most powerful pairings in trance and progressive; scoring 19 #1 remixes and tracks in the Billboard Hot Dance/ Club Play charts, worldwide hit songs such as ‘As The Rush Comes’ (as Motorcycle) and ‘Tracking Treasure Down’, as well as collaborations with Armin van Buuren and Markus Schulz. D-wayne has revealed an increasing level of musical maturity since his first show in 2008. Creating and developing his own radio show concept ‘Housemusic as Art’, produced monthly through several internet radio stations, this young Dutch DJ and producer has great ability behind the decks, complimented with his own releases on Afrojack’s Wall Recordings and Steve Aoki’s Dim Mak.